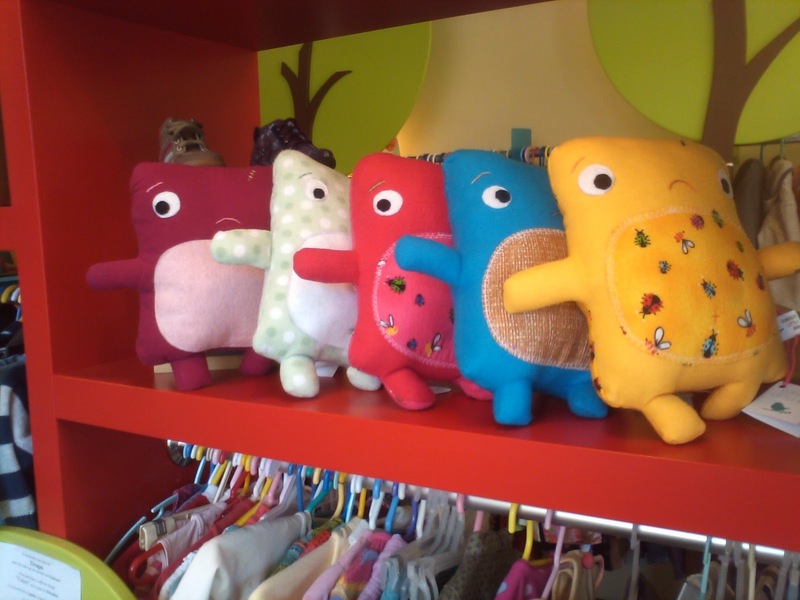 Well today I went to Minizabies to drop off a bunch of plush. The woman who owns and runs the store, Grace, found me. I had asked her earlier how she found me, but for some reason she couldn't remember. She thinks perhaps someone told her about me? I'm sure when she remembers she'll tell me. :) She's a really sweet woman, and I really love her little shop. She sells new and used children clothing, and Grace puts fabric (usually wool) monster appliques to sweaters she buys. 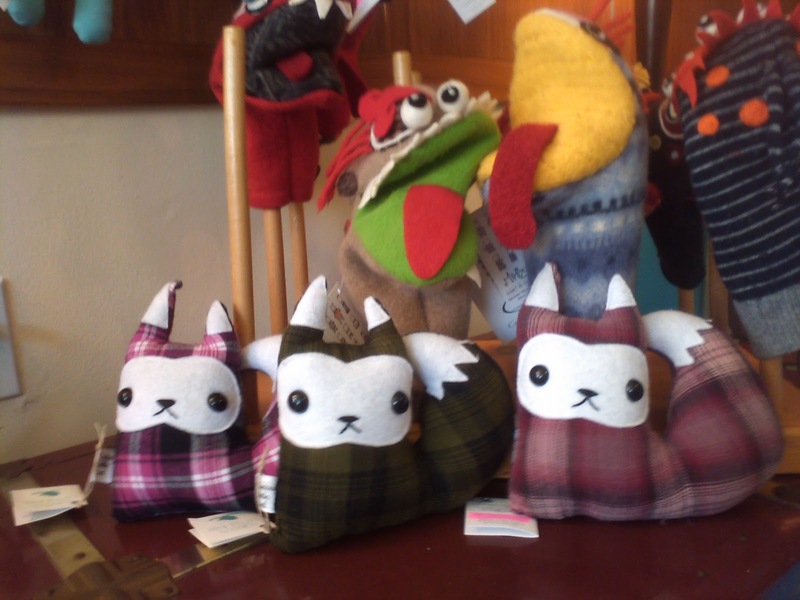 I'm really excited to be selling in her store as I will be the only plush maker who is. No competition! 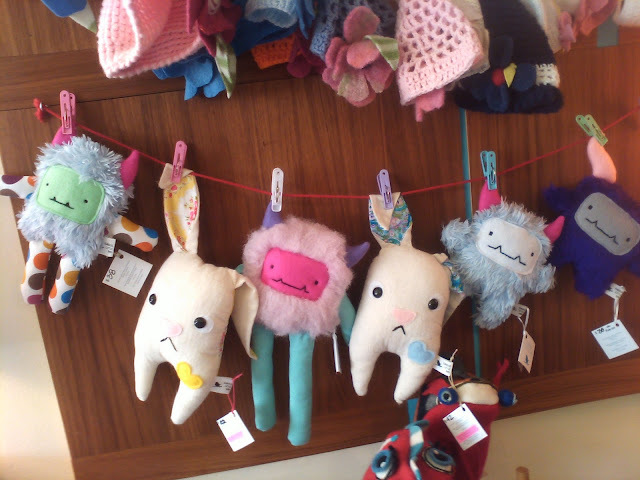 Here are a few photos of my plush all arranged and looking cute! I did see this Munny doll on her shelf. I've always wanted one. 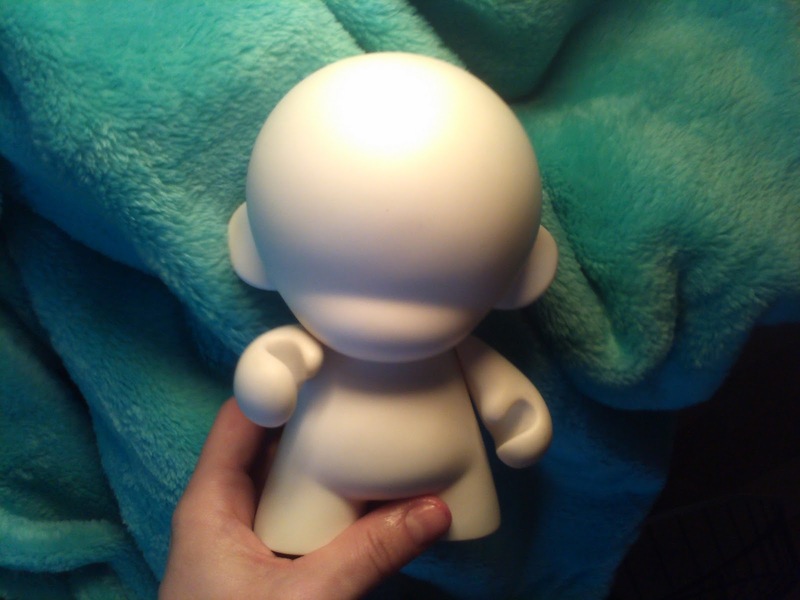 A Munny doll is made out of vinyl and has movable joints. It's is a blank figure the owner can decorate using pens, pencils, markers, paint, and other supplies. I saw a plush maker make a few online, and I've always wanted to try. I asked her how much she was selling that for, and she told me $2, and I couldn't say no! They're normally $30 after taxes in the stores. I'm going to make this one with faux fur, paint, and sculpting clay glued on. Perhaps a Curious Little Bird monster? I'll have to figure out how much to sell it for. If it proves popular, I might buy and make more. I think horns, some sort of eyes, and lots of fur are in order! Have a great evening and a happy Thursday tomorrow.